Connecticut, the southernmost New England state, is bounded by Long Island Sound on the south, Rhode Island on the east, New York State on the west, and Massachusetts on the north. The finger-like extension of Fairfield Country is an easy drive to and from New York City. Connecticut is the nearest New England state to New York, Pennsylvania and points south for a short getaway. Located along the shore of Long Island Sound, the Fairfield region is a short drive from New York City. It includes the towns of Stamford, Darien, Norwalk, Westport, Fairfield, and Bridgeport. Good restaurants, with a special cluster in the SoNo section of Norwalk, a waterfront area with lots of hip restaurants and shops. Family attractions include Beardsley Zoo, Discovery Museum, and the Barnum Museum in Bridgeport; Maritime Aquarium and the Stepping Stones Museum for Children in Norwalk; and the Stamford Museum & Nature Center in Stamford. North and east of the Fairfield region and also on Long Island Sound, the New Haven region is home to Yale University, which is loved for its fine architecture and excellent art museums, including the Yale Center for British Art and the Yale University Art Gallery. New Haven calls itself the birthplace of pizza in America, with the pies served in old legendary pizzerias like Frank Pepe Pizzeria Napoletana, Frank Pepe's The Spot, and Modern Apizza. Downtown New Haven bustles with dining and cultural activities, and it is becoming known and loved for its blossoming food truck offerings. The Mystic region is in the southeast corner of the state, aside Long Island Sound and also extending northward and inland, has attractions that are uniquely New England in character and great for families and kids. 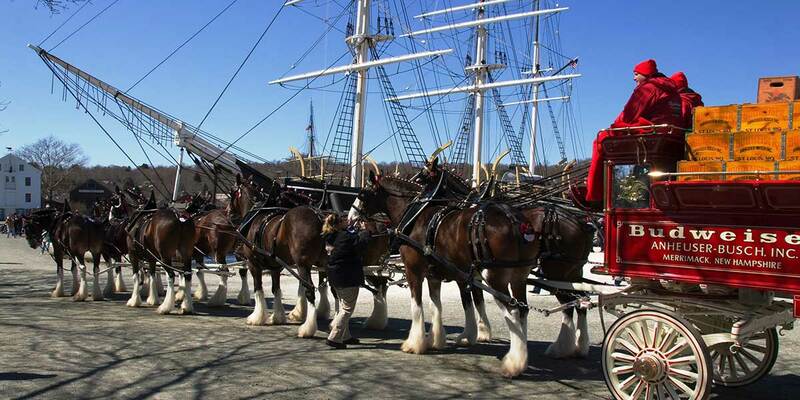 In the town of Mystic, Mystic Seaport is a historic shipbuilding museum and re-created 19th-century seaside village. Mystic Aquarium is associated with Robert Ballard, who discovered the Titanic, and it has a marvelous Titanic exhibit. The city of New London has the state's best salt-water beach and Ocean Beach park. 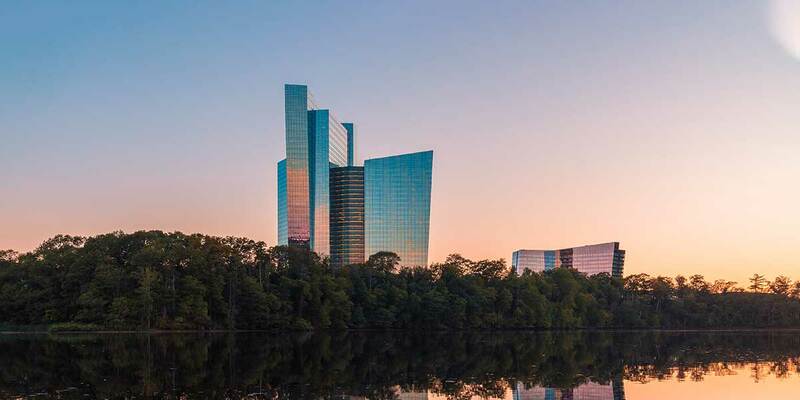 Further inland, the Foxwoods Resort & Casino in Mashantucket (Ledyard) and Mohegan Sun in Uncasville are two largest casinos in America, with reputations to match. The capital city of Hartford, in the geographical center of the state, is known for some fine art and history museums, including the Mark Twain House & Museum. The Wadsworth Atheneum's renowned collections include Hudson River School landscapes, Old Master paintings, modernist masterpieces, Impressionist paintings, and American decorative arts. Bradley International Airport, in Windsor Locks, is a major airport near Hartford. 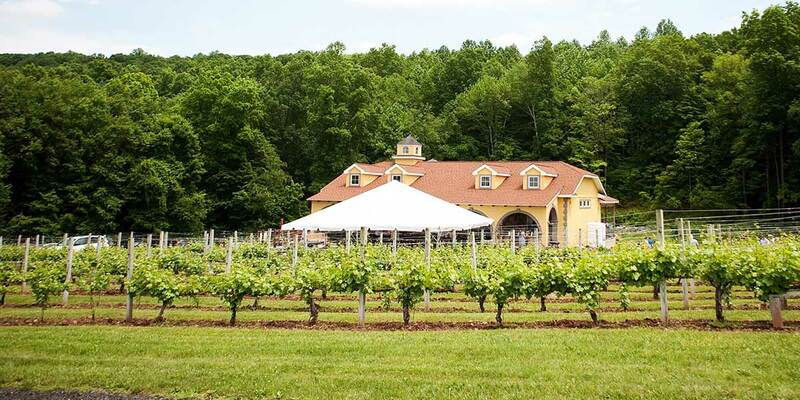 In the western part of the state along the eastern border of New York State, the Litchfield region is a rural paradise of picturesque farms, villages, vineyards and wineries, lots of antique shopping, and fishing and rafting in the Housatonic River. Major towns are Litchfield, Danbury, Waterbury, Bantam, Kent, and Torrington. Litchfield region has no saltwater shoreline, but has wonderful rivers and ponds.